Solfeggio Frequencies are a set of tones based on an ancient six-tone scale said to have been used in the beautiful and sacred Gregorian chants. According to legend, monks chanted these tones during their meditations… And it was believed that the tones provided spiritual blessings, positive energy, and healing whenever they were sung in harmony. The idea of sound healing is nothing new… Actually sound is perhaps one of the oldest energy healing methods… If you've ever shifted your mood by listening to a song you love, you've experienced sound healing! A particularly interesting sound healing method, however, is the use of Solfeggio frequencies. It's said that each of the tones within the Solfeggio scale works together to balance your energetic body and keep mind and physical body in harmony. They are said to have the ability to penetrate deep into your subconscious and bring about emotional and vibrational healing. Just playing them in the background can help you to relieve stress, promote healing, let got of negativity, raise your vibration and more! There are many versions of these tones you can find. They're sometimes mixed with binaural beats, used for meditation, or woven into music. Whether that's writing for my blog, making dinner, driving to the grocery store, or even cleaning the kitchen. The basic idea with using Solfeggio Frequencies for healing is that when we expose our bodies and minds to these ancient and spiritual frequencies, they help bring our energy into resonance with harmony, blessings and healing energy. It is said that when you listen to the Solfeggio Frequencies, you are aligning yourself with tones and rhythms that make up the foundation of the universe. And as a result of simply listening… Each tone within the Solfeggio scale brings harmony, blessing, and balance to a specific layer of your energetic body and helps to keep your mind and physical body in harmony. The amazing thing about sound healing is that sound naturally has the ability to penetrate deep into your subconscious, to reveal stuck or stagnant energies, and to assist the healing process. So is there something special about the tones that make up the ancient Solfeggio Scale? Here are the modern insights into what the different tones mean, and the vibrational support they carry. One of the most common obstacles to spiritual awakening is guilt. The 396 Hz frequency aids in cleansing guilt and fear that have built up as defense mechanisms. Once these emotions have been transformed in both mind and body, the frequency becomes grounding and helps to gain a clear view of your reality. This tone is an amplifying tone. It has the ability to clear away karmic ties from traumatic experiences and removes those habits, influences, and defense mechanisms that have built up as protection from the trauma. By removing these influences, you become freer to achieve your goals – including spiritual awakening. The Solfeggio tone of 528 Hz is used to repair DNA to a perfect state. This tone communicates healing and repair at an incredibly deep level. What’s great is that you’ll see tangible results. Things like increased energy, greater awareness, mental clarity, enhanced creativity, deeper inner peace, a joyous outlook, and profound happiness are all benefits from this tone. This leads naturally to spiritual experiences like discovering your psychic gifts. Learn more about the 528 Hz “Love Vibration” Here! Community and relationships are enhanced with this tone. Great harmony is achieved when relationships are solid and problems are eliminated when they are not. 639 Hz improves your ability to communicate and understand others. Your love and tolerance of people and situations will expand. The bonus is that it not only aids communication in the physical realm but in the heavenly realms as well. Listening to this tone can increase communication between you and your angels. The Solfeggio tone of 741 Hz cleanses cells of all toxins. The tone leads to a simpler approach to life that includes overall health and wellness. You naturally start to gravitate to foods with the highest prana. It is capable of eliminating infections, viruses, bacteria, electromagnetic radiation, and disease. The ultimate effect of 741 Hz is a stable and strong spiritual life. This tone is directly connected to the third eye chakra. It is used to aid in self-realization and finding your own inner strength. If you have any emotional or energetic stagnation in the body this tone will help remove it. Those who have a tendency toward anxiety and overthinking find great relief with 852 Hz. It removes blockages that hinder communication with your higher self and angelic guides. This is the lowest of the Solfeggio tones. It’s a natural anesthetic and is great at removing pain – emotional, physical, and karmic. Another good tone for the physical body is 285 Hz. It is used to treat burns, cuts, or any type of damaged skin tissue. 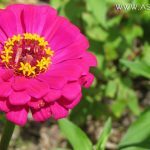 It is believed to be closely connected to the body’s desire for optimal health and stasis. 963 is closely aligned with the Divine. This tone provides a gateway to direct experience of the spirit world and a beautiful return to the understanding that we are all one. Listening to this tone re-connects you with your angelic guide as well as other energies from the heavenly realm. Guido d’Arezzo (c. 991 AD – c. 1050 AD) is the Benedictine monk who is said to have developed the scales. Though historians have traced the scale as far back as a hymn attributed to John the Baptist, it was d’Arezzo who formalized it and provided some understanding around it. He then used the scale to help monks learn hundreds of prayers and chants more easily. In the modern day, we understand this scale as the very popular ‘Do-Re-Me-Fa-So-La-Ti.’ It was in the mid 1970’s that physician Joseph Puleo discovered that each of the syllables had a corresponding sound frequency. Puleo had a vision that led him to the Pythagorean method of numeral reduction. From there, he was intuitively guided to the Book of Numbers where he discovered a pattern of the six Solfeggio tones in Chapter 7, verses 12-83. Since then, his discovery has been researched and expanded upon by other scientists and music theorists. Why Did The Solfeggio Scale Disappear? Today’s musical scales are out of sync with the original Solfeggio scale. Over time, new and different methods of tuning have been introduced, moving us away from the ancient scale. ‘Just Intonation’ is the ancient practice used during the time when the Solfeggio scale was commonly used. Just Intonation includes intervals between notes that are mathematically related to small whole numbers. This results in a much purer sound. In the 16th century, the western world adopted the ‘Twelve-Tone Equal Temperament’ method of tuning. This method mistunes the consonant intervals (with the exception of the octave). If you aren’t familiar with music theory, this might not mean much to you. Just know that our modern-day scale, with its mathematical dissonance, can create limited thinking, stuffed emotions, and dis-ease. 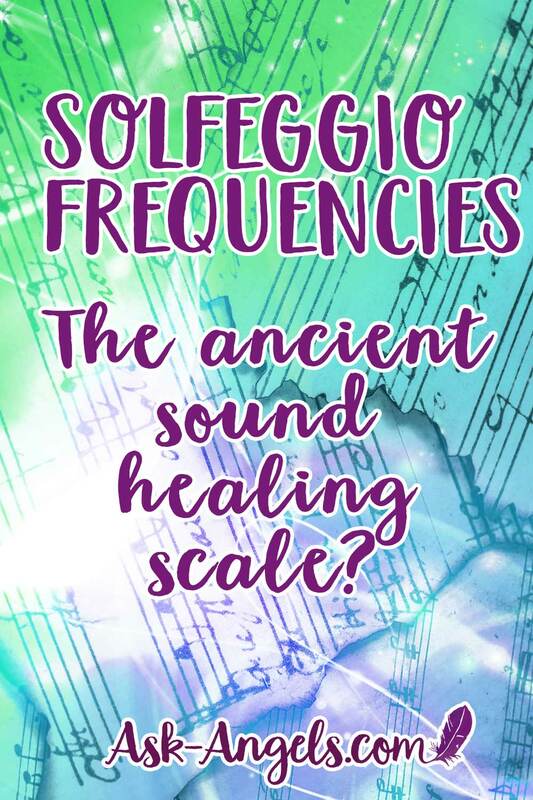 Because we’re now out of sync with the ancient Solfeggio scale, there's an immense benefit, and tangible energetic shift that can unfold through seeking out and listening to true Solfeggio Tones. Sound is a powerful tool to raise consciousness and connect with the Divine… And the Solfeggio Scale a powerful method of focusing that sound healing to bring greater balance to your life. Try listening to them yourself and see if you can feel an energetic difference!